More new files are up on the LD site! Get them while they are 75% off! Click HERE or the image above to go to the LD site. Add the Santa Letters (printable) to your cart and checkout. You pay $0.00! The link to the download will show up after the "transaction" is completed. This freebie is good for one-day only. Be sure to grab it before it expires on Monday night. There is still time to grab yesterday's free font. Click HERE to get the LD Dog Tags before the freebie expires tonight. The LD Black Friday sale is ending soon. If you have not shopped the sale, click HERE to grab your LD cutting files (SVG) and graphics (for print-and-cut) while they are 75% off. Click HERE or the image above to go to the LD site. Add the LD Dog Tags font to your cart and checkout. You pay $0.00! The link to the download will show up after the "transaction" is completed. This freebie is good for one-day only. Be sure to grab it before it expires on Sunday night. There is still time to grab yesterday's free files. Click HERE to get the Little Angels- Lollipop cut it (SVG) and graphics set before the freebies expire tonight. The Kiss the Cook Cut It Project includes a cupcake box and a 3D toaster. Click HERE to see samples on the LD site. Click HERE or the image above to go to the LD site. Add the Little Angels- Lollipop cut it (SVG) and graphics set to your cart and checkout. You pay $0.00! The link to the downloads will show up after the "transaction" is completed. scrapNfonts is a sister site of LD and they too have a freebie to give away. Click HERE to go to their store and get the DB Family Tree dingbat for free. **HOT** 48% off Cricut Explore Starter Set! Only $199.99! Here's a great deal for those of you who are looking to get a Cricut Explore. The Starter set is now only $199.99 with free Prime shipping! This is one of the best offers that I have seen on this machine but Amazon is known to have frequent price changes. If you want one of these, click HERE to get it before the price goes up or the stock runs out. (Make sure that you select the Starter Bundle in order to get the $199.99 price). Thank you for stopping by my blog and chatting with me on Facebook. You guys have made crafting so much more fun for me by letting me share my projects with you. I am so thankful for you! On this Thanksgiving Day, I hope that you are surrounded by the people you love, and an abundance of fabulous food. I hope that your day is filled with lots and lots of joy and laughter. LD has a new doodlebat (dingbat) on their site and they are also giving away 3 freebies today! Click HERE or the image(s) below to go to the LD site. Add the Harvesting Memories Photocards, Advent Activities, and Scripture-Advent to your cart and checkout. You pay $0.00! The link to the download will show up after the "transaction" is completed. These freebies are good for one-day only. Be sure to grab them before they expire on Friday night. **HOT** Silhouette Cameo Starter Kit bundle for $199.99 and 50% off Silhouette cutting mats and blades!! There are some great deals on Amazon right now. The Silhouette Cameo Starter Kit bundle is only $199.99 with free Prime shipping! This bundle comes with the original Cameo (without touchscreen), 2 cutting mats, 2 cutting blades, a metallic pen set, and a pick-me-up-tool. All for just under $200! It's a great deal! The Silhouette replacement cutting mats and blades are also 50% off at the time of this post. That's even lower than the prices offered in the Silhouette Store Black Friday Sale! Amazon has frequent price changes and I don't know how long these offers will last. Click HERE to get your cutting mats and HERE to get your replacement blades before the prices go up. To see all the Silhouette deals on Amazon, just click HERE. 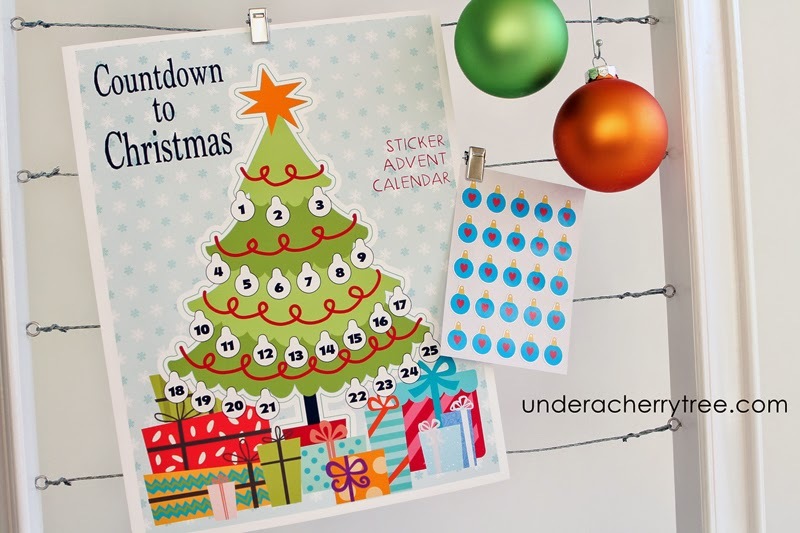 LD has released a new alphabet on their site today and they are giving away a matching freebie! Click HERE or the image below to go to the LD site. Add the ABC Gratitude Tally printable to your cart and checkout. You pay $0.00! The link to the download will show up after the "transaction" is completed. This freebie is good for one-day only. Be sure to grab it before it expires on Thursday night. There is still time to grab yesterday's free set. Click HERE to get the Give Thanks Printables before the freebie expires tonight. New fonts are up on the LD site! I'm really liking the LD Hand-written Greetings font. It's pretty and has a lot of personality. It'd be great to use on holiday cards! Click HERE or the image above to go to the LD site. 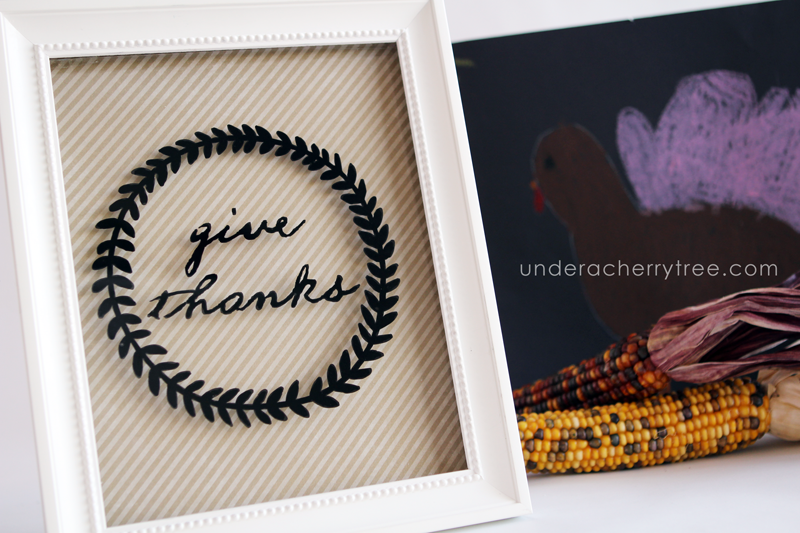 Add the Give Thanks Printables to your cart and checkout. You pay $0.00! The link to the download will show up after the "transaction" is completed. This freebie is good for one-day only. Be sure to grab it before it expires on Wednesday night. If you have not grab Monday's free Thanksgiving Words doodlebat, click HERE to get it before the freebie expires tonight. 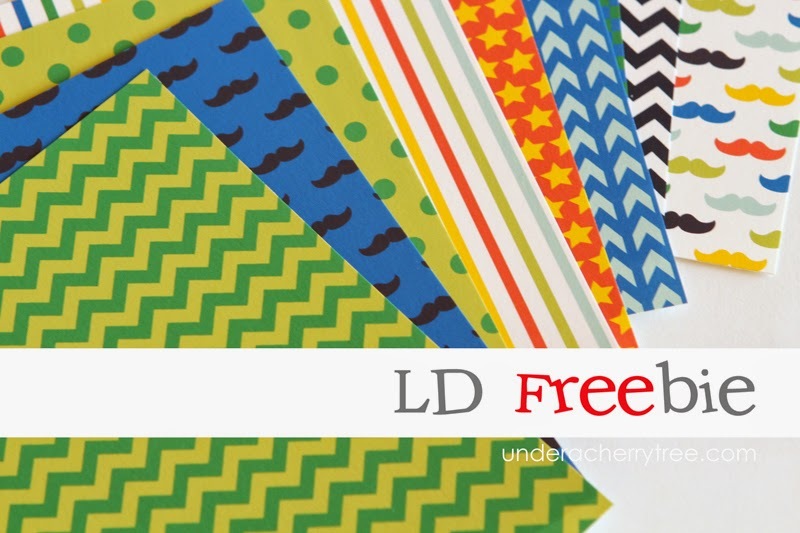 LD has a new collection on their site and a new freebie for us! The "Eating for Two" Cut Its (SVG) and graphic sets are included in the LD Black Friday Sale. They are on sale for 75% off! Click HERE or the image above to go to the LD site. Add the DB Thanksgiving Words (dingbat) to your cart and checkout. You pay $0.00! The link to the download will show up after the "transaction" is completed. This freebie is good for one-day only. Be sure to grab it before it expires on Tuesday night. Once the design was completed, I printed it out (using my Canon printer) on a letter-size cardstock. 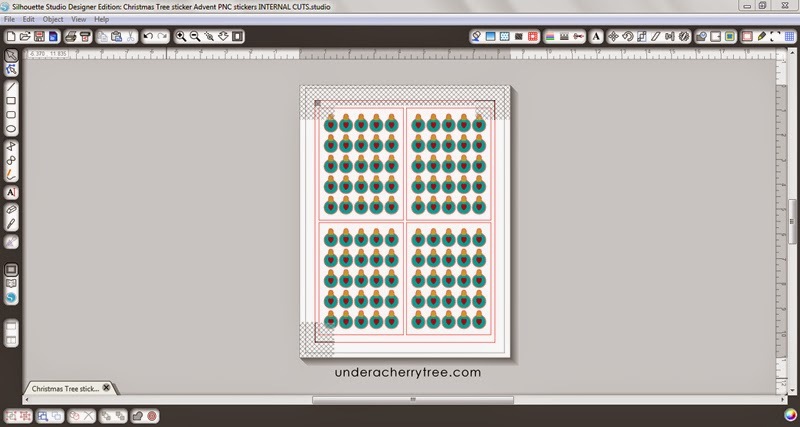 I could make up to 4 sheets of ornament stickers on a sheet of letter-size sticker paper. I used my New Cameo to first "kiss-cut" the ornaments so that the stickers stay on the backing paper. The settings that I used (Blade 1, Thickness 8, Speed 8) were considerably lower than what I had previously used to cut stickers with my original Cameo. To cut out the 4 sticker sheets, I used the settings of Blade 3, Thickness 15, Speed 10. 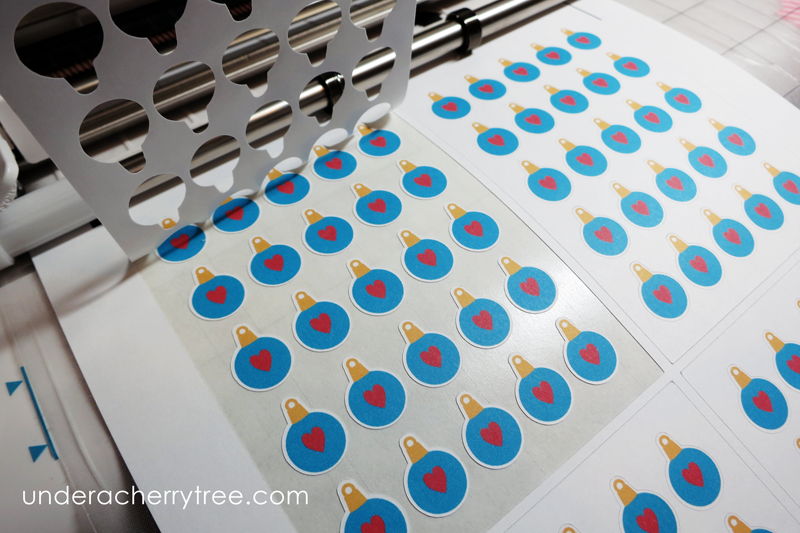 If you have never made stickers with your Silhouette cutter, I hope that you give it a try. It's fun and easy! 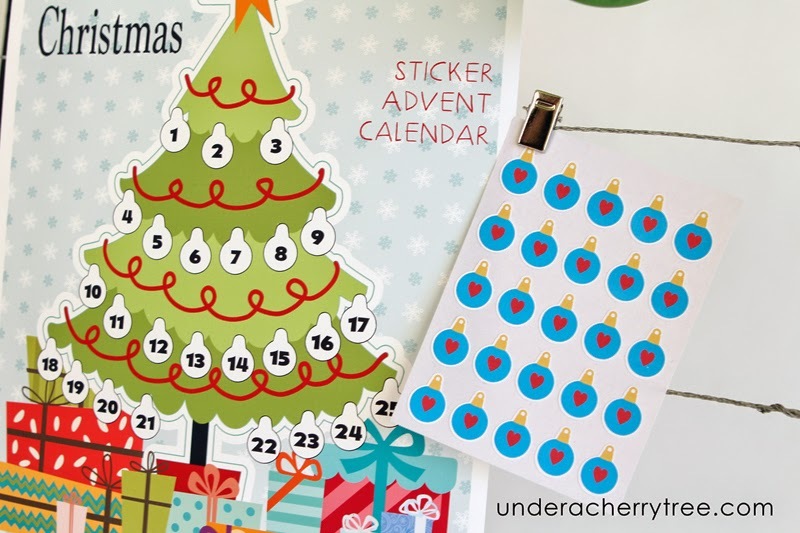 You can make a sticker advent calendar like the one I just showed you, or make sticker labels like the one in THIS post. If you need a sticker tutorial, just check the posts HERE, and HERE. Yippee! We get a surprise freebie from LD today! The free paper pack is one of three sets that were newly released today. To get your freebie, click HERE or the image below to go to the LD site. Add the Boys Will Be Boys paper pack to your cart and checkout. You pay $0.00! The link to the downloads will show up after the "transaction" is completed. The LD Black Friday sale is going on now. Everything on the site is 75% off! LD will also be posting new product everyday while the sale is happening. I can't wait to see what's coming tomorrow. It's hard not to laugh when I saw LD's latest release. It took me a moment before I realized what they had done there with the salt and pepper. 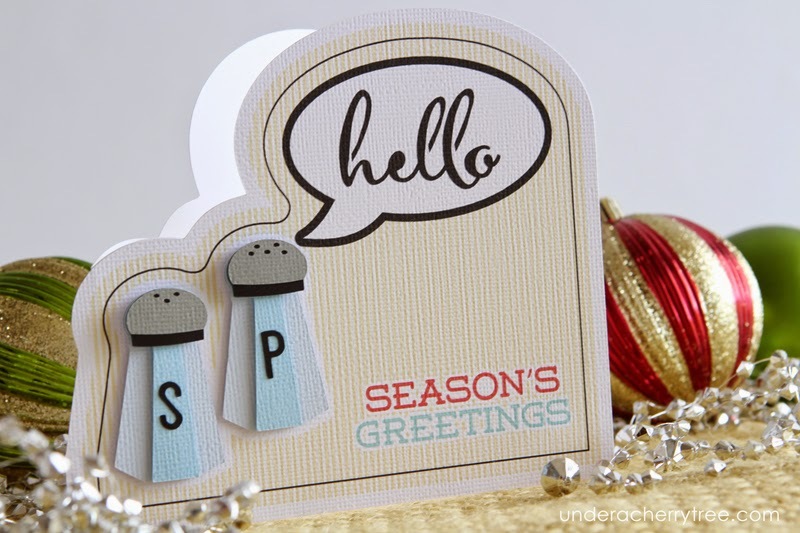 It's "Seasonings Greetings"! HAHA! 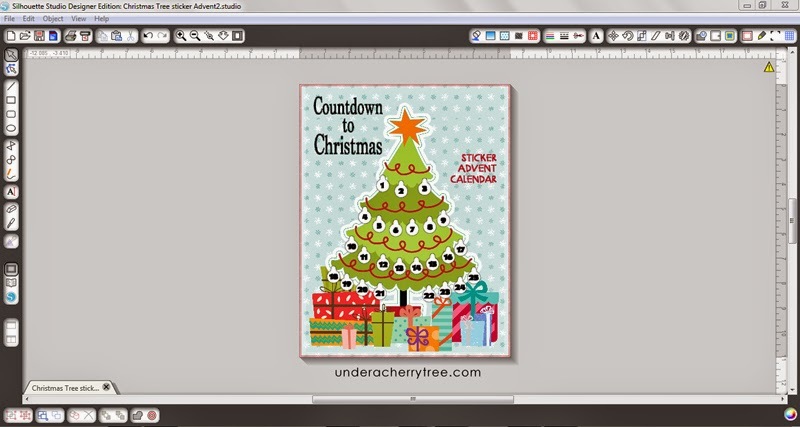 The Kiss the Cook - Seasons Greetings cut it (SVG) and graphics set are free until tonight only. Click HERE to get them before they expire. Don't forget to shop the LD Black Friday sale while you are there. Everything is 75% off and you can even use a coupon on top of that! Click HERE to start shopping the LD Black Friday sale. The LD Black Friday sale starts NOW! ONE DAY ONLY!! 50% off LD! The day Silhouette Support died.